Ramadhan month is back and also our is RH HOTEL Ramadhan Buffet this year. 😍 Enjoy this totally delicious buffet with your family, friends and business partners. Grab your Early Bird with us (buy 5 free 1) now. For more information please call +60 84 365888 for reservation. 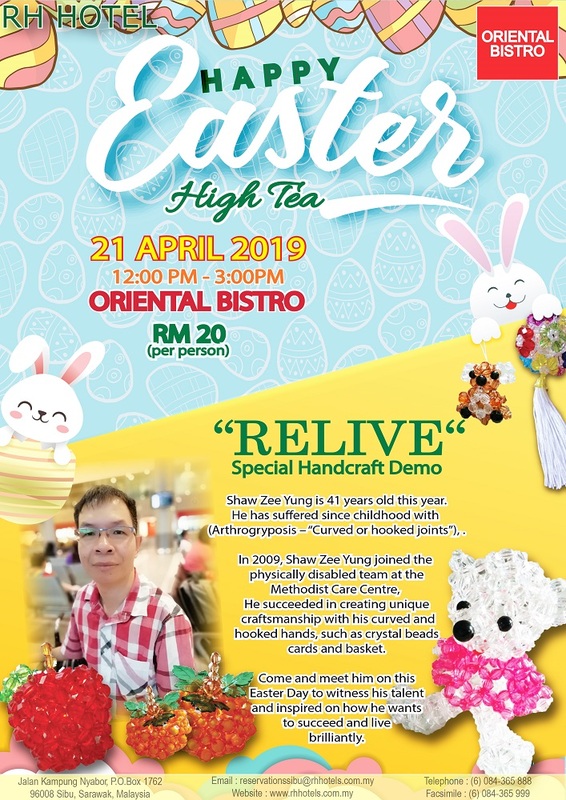 Come & join us during this Easter day for our Easter High Tea promotion (21 April 2019) from 12 noon - 3pm and meet up with Mr Shaw Zee Yung, an inspiring person who is disabled and listen to his inspirational story from 'zero to hero' and witness his unique craftsmanship. Who is always challenging him self to be better to where he was right now.